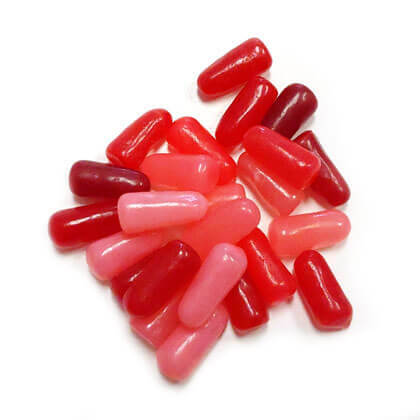 New Mike n Ike chewy candies in cherry, fruit punch, raspberry, strawberry and watermelon. OU Kosher. Gluten-free. Made in USA. Approx 17 per oz. 12 oz bag.